EOYDC today. The center has been serving Oakland youth for 40 years. Since opening its doors in 1978, the East Oakland Youth Development Center (EOYDC) and the Clorox Company have maintained a strong bond. In fact, Clorox and then-CEO Robert Shetterly provided seed funding to set up both EOYDC and its endowment. This was an early example of Clorox’s commitment to the communities where it does business, particularly its hometown of Oakland, California. Today, Clorox remains deeply involved with EOYDC. Our employees sit on the center’s board of directors and devote work days as volunteers to help maintain and beautify the building. In 2010, Clorox leaders worked with EOYDC to develop a business model and provided recommendations to expand the center’s branding and marketing. 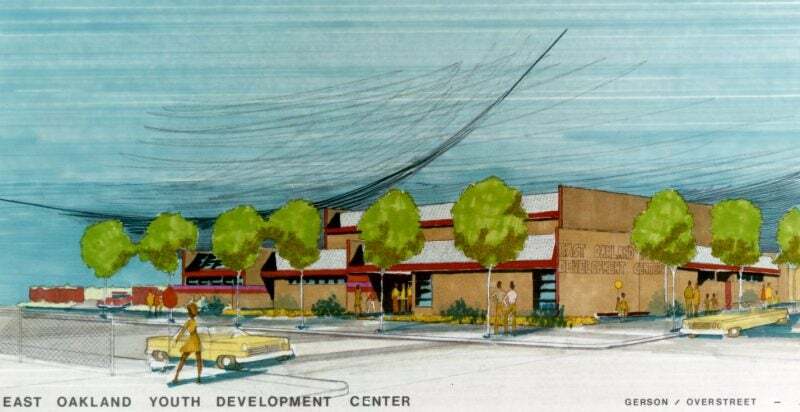 An architect’s rendering of the planned EOYDC building. Shetterly envisioned a center that would level the playing field for underprivileged Oakland youth. When he moved to Oakland, California, to become general manager of Clorox in 1965, Shetterly met Pete Robinson, director of the Paltenghi Youth Center in San Francisco. The two worked together for years raising money for local youth programs. This fed Shetterly’s desire to increase The Clorox Company’s focus on corporate social responsibility, serving youth and strengthening our communities. “We figured that Oakland, being our hometown where the business was founded, and that had always been the headquarters of the company, was the place we ought to look to see whether there wasn’t some local need,” Shetterly says in the oral history. The Clorox Company began working to open a youth center in East Oakland, EOYDC, in 1973. Over five years, Shetterly helped to establish the 501(c)(3) and raised close to $6 million to build the center. Through a partnership with the City of Oakland, EOYDC established a youth job training program that served over 1,000 youth per year. 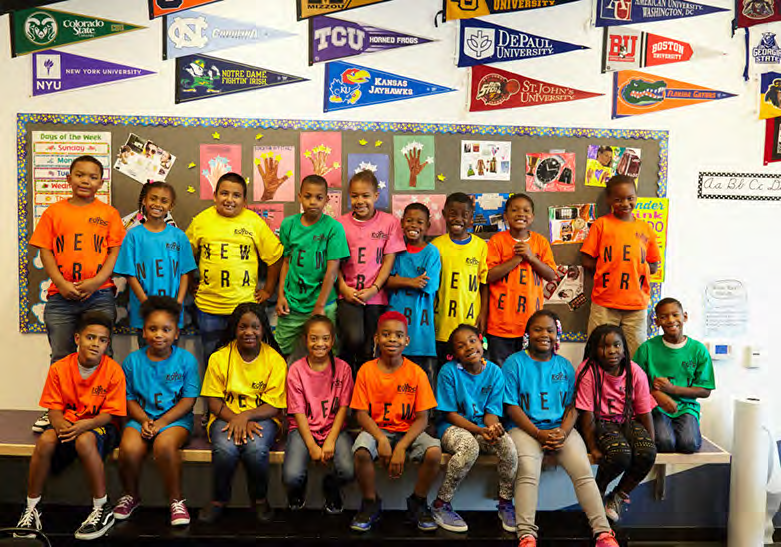 Five years later, in 1983, Shetterly established a $3 million endowment for EOYDC. Half of it was donated by the three-year-old Clorox Company Foundation. He wanted the endowment to provide 80 percent of the center’s annual budget, freeing EOYDC administrators to focus on programming instead of fundraising. 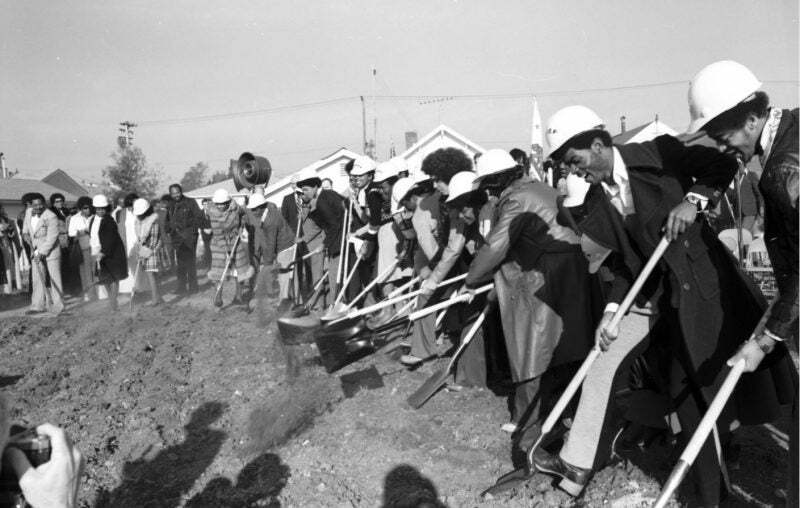 The 1976 groundbreaking of EOYDC’s permanent home. 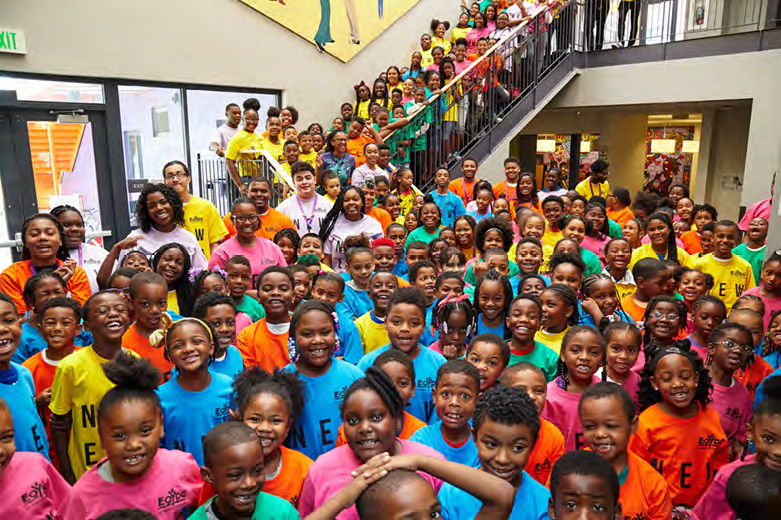 Today, EOYDC serves 2,000 youth between the ages of 6 and 24 each year. It provides arts and music programming, job training and placement assistance, afterschool tutoring and college readiness programs. There’s also a wellness program, which includes sports, cooking classes and health education. All are free and are offered five days a week. Children who participate in the After-School Leadership Academy show improved educational outcomes, self-confidence, leadership and social skills. High school students in EOYDC’s Pathway to Colleges and Careers Program have a 100 percent college acceptance rate, and 86 percent graduate college within four years. Seventy-five percent of young adults in EOYDC’s education empowerment program obtain their high school equivalency certificate within six months. Congratulations to EOYDC on 40 years of positive impact and the contribution it has made to the lives of so many in Oakland, California. 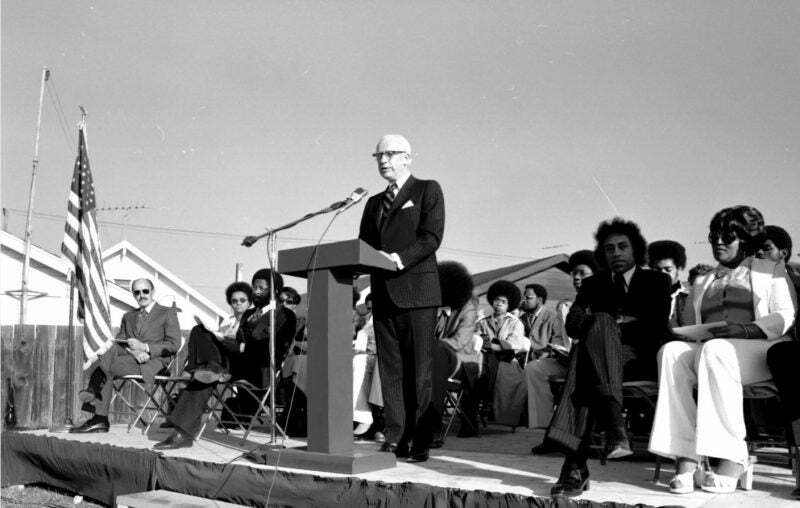 Former Clorox CEO Robert Shetterly speaks at the EOYDC groundbreaking in 1976. The current generation served by EOYDC.